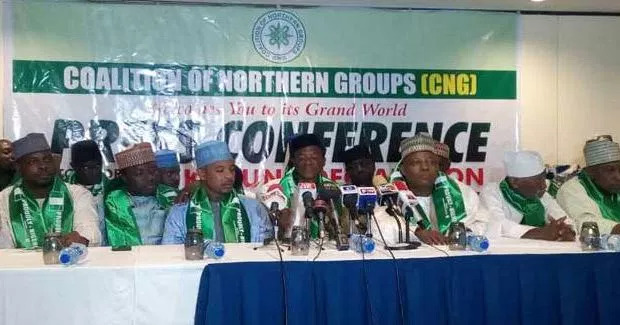 A coalition of northern group, Arewa Youths Consultative Forum, has withdrawn the earlier quit notice it issued Nigerians of Igbo extraction living in the north to vacate the region before October 1 or face physical attacks. Among those present at the conference include the Governor of Borno state and Chairman of Northern Governors’ Forum, Alhaji Kashim Shetima, ex- Governor of Kano State, Alhaji Kabiru Gaya, ex-Minister, Alhaji Sani Daura and Alhaji Shetima Yerima of Arewa Youths Council. Recall that northern group had given reasons for issuing the eviction order as being a response action to the sit-at-home call the Leader of the Indigenous People of Biafra, IPOB, Mazi Nnamdi Kaku had made which saw massive compliance in the south-east. Although much condemnations had trailed the eviction notice the northern group had issued Ndigbo, the group had maintained their stand. Consequently, several regions had equally responded with similar orders to those they perceived unwanted. The South-South region had also declared Niger Delta state after equally giving its quit notice to all northerners living in the South-South region. Following was the South-West that declared Oduduwa republic and then the Middle Belt which also declared the region a republic. 0 Response to "Arewa Youths Make A U-turn, Say Igbos Can Stay In The North"